After a few month hiatus from teaching I'm currently exploring both opportunities at studios as well as setting up a couple of practice groups. 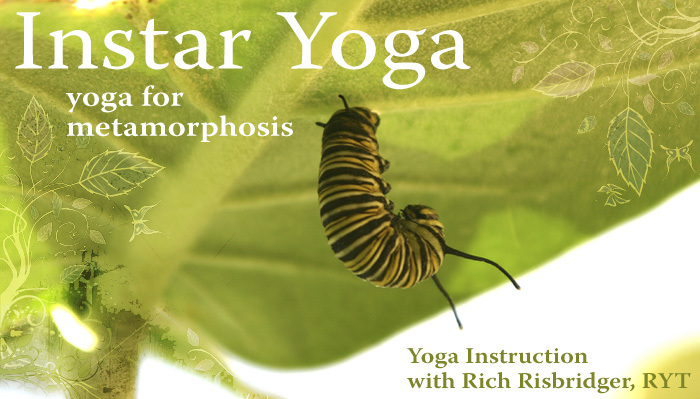 Email rich@instaryoga.com to inquire. I have a particular fondness for moths and butterflies and their process of transformation. Instars are the stages of caterpillar metamorphosis between each molt. As the caterpillar grows and successively sheds its skin, it transforms. I find a similar process in the practice of yoga--ever evolving toward taking flight. Though the caterpillar may only know it is eating, whether or not it has an intent to transform, it is the nature of the being to do so. To me, the process mirrors the human being involved in the practice of yoga. Here is a fun page explaining the metamorphosis of a butterfly. Rich began practicing yoga in gyms in 1999. As his practice deepened he moved his yoga practice to Ashtanga classes at Back Bay Yoga Center in Boston in 2001. In early 2006 he left his then home in hurricane ravaged New Orleans to pursue his devotion to yoga and his passion for performance in San Francisco. 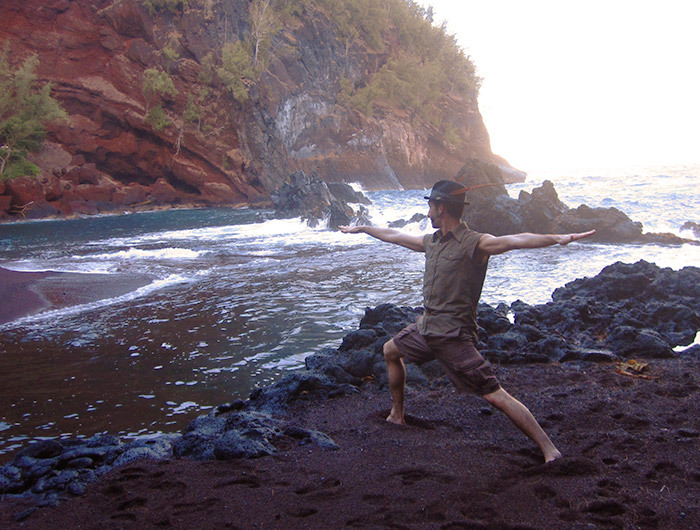 Rich completed his teacher training with Clayton Horton and David Lurey at Greenpath Yoga in 2006 and has pursued additional Ashtanga training with David Swenson and Richard Freeman. Though devoted to his roots in Ashtanga Rich believes that exploring and practicing a variety of yoga styles provides valuable perspective and has diversified his training with teachers including Shiva Rea, Rod Stryker, Ana Forrest, Dharma Mittra, and Les Leventhal. He also has a special love for AcroYoga and has participated in numerous AcroYoga trainings and classes. Rooted in his own experience, Rich believes strongly in the principles of the Hatha Yoga Pradipika--that physical yoga is spiritually transformational. The hatha yogi need not seek transformation, for in the practice transformation finds the yogi. Rich's vinyasa classes mix elements of traditional Ashtanga with his experience as a circus aerialist, dancer, and acrobat. With variations provided for students of all levels, his classes challenge one to mindfulness of the body and focus on the breath while striving to further one's personal practice in a spirit of humility, compassion, and playfulness. Rich strives to provide a meditation in motion that leaves one both energized and full of tranquility. 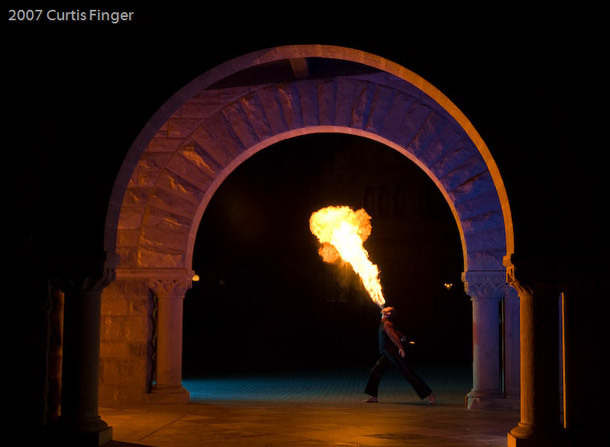 In addition to his activities as a yoga teacher, Rich does graphic and web design for the the yoga, healing, and arts communities, tells original fairytales as Onkel Woland, and does circus and fire performance. He performs regularly with and is on the board of directors of Asheville Vaudevile. 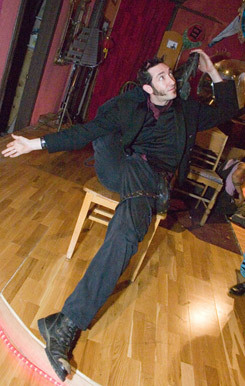 He has worked with Wicked Geisha Entertainment, Clan Destiny Circus, the Dreamtime Circus, Lucid Dream Lounge, and Copper Lantern Fire Theater. During his time in the Bay Area he also frequently volunteered for the fire and metal arts school, The Crucible, which will forever hold a special flame in his heart. Now in Asheville, he hopes to keep sharing creativity and light with this beautiful community.